The 8th Marylebone Scouts - AKA "The Diehards"
Through the everyday adventure of Scouting, young people and adult volunteers from across North West London regularly experience new challenges that enrich their lives. Whether this be at weekly meetings or in the great outdoors Scouting provides a good foundation in growing up, learning to lead and work in a team and just fundamentally 'finding a bit more about yourself'. 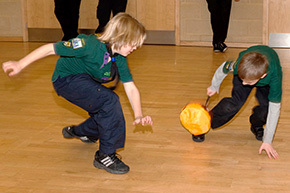 The 8th St Marylebone Scout Group (The Diehards) was formed late in 1921 and built on an early reputation for delivering quality Scouting, it continues to be one of London's leading Scout Groups in North West London. Based in the heart of St John's Wood, just off Abbey Road in purpose built 'state of the art' premises, the group attracts new members from all over including Paddington, Hampstead and Kilburn. Such is the appeal of the Group that some adults travel in from outside London just to be part of The Diehards welcoming atmosphere and rich heritage. We are registered at Scout HQ as part of the 'City of Westminster' and in the County of 'Greater London Middlesex West' GLMW. All sections are open to boys and girls, we meet weekly during term times and 'get out and about' on day events, camps and foreign trips. Scouting helps children and young adults to reach their full potential, developing skills which include leadership, initiative, planning, communication, self-motivation, teamwork and playing a full part in a modern society. Our volunteers also enjoy it's benefits by learning new skills, making new friends and enjoying a social life with a purpose. There are lots of different volunteer roles on offer, from being a leader, occasional helper or running activities behind the scenes. We help young people to become better citizens, get jobs, save lives and even change the world. Scouting is from age 6 to 106! 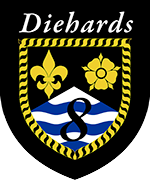 The Diehards (The 8th St Marylebone Scout Group) has earned the enviable reputation of a well-run group with a proud history, offering quality Scouting for people of all ages across North West London and beyond. Traditions do not die hard, neither do our members. 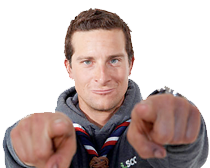 Scouts change lives through everyday adventure and challenge - take part!